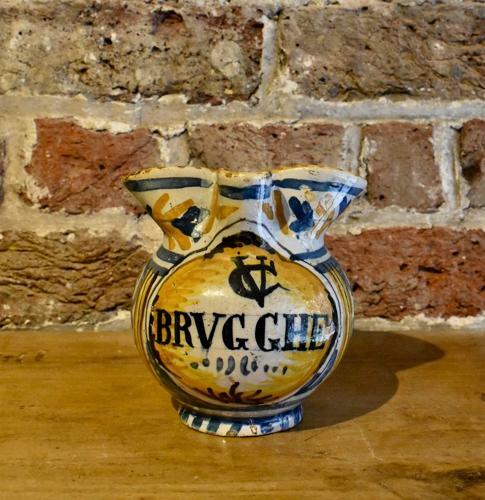 A bold and decorative, 18th century, polychrome apothecary's jug for Brugghe (burnt juniper) with the cypher VC (or CV) above. The jug, with naive blue and yellow floral motifs and stripes, is complete with handle and spout. Origin: North Italian. Circa 1780.